AAKG Shock delivers 6000 mg of pure Arginine Alpha Ketoglutarate (AAKG) in each serving. 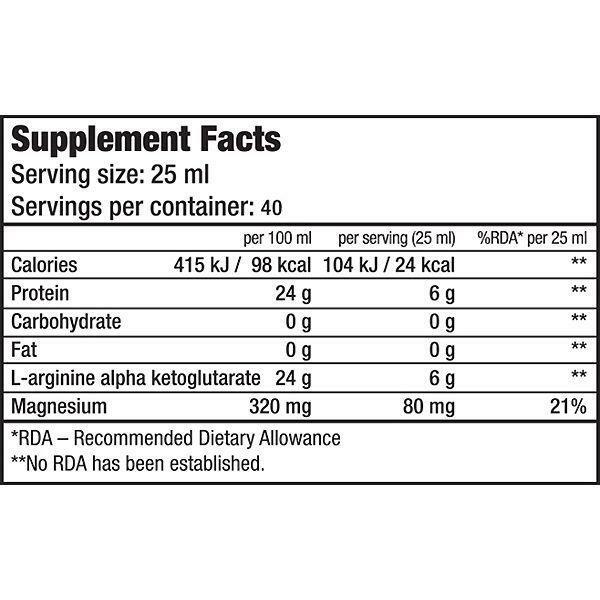 We further enhanced AAKG Shock with magnesium to help fight tiredness & fatigue. 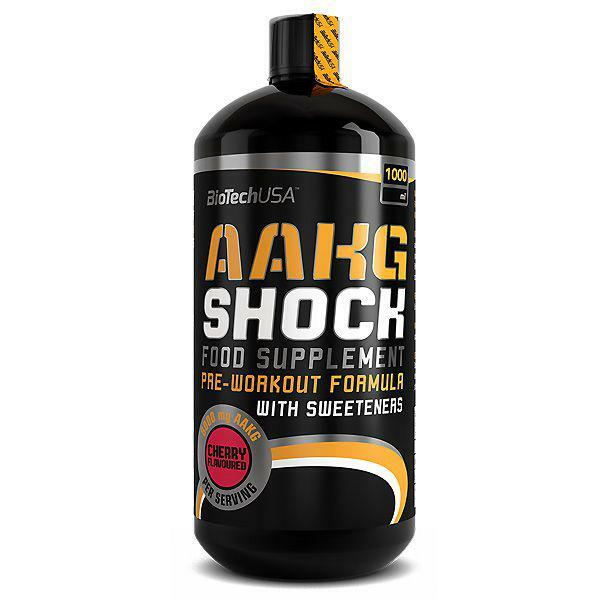 As a dietary supplement, drink 25 ml of AAKG Shock Extreme once per day 20 minutes prior to your workout or other physical activity. Do not exceed the recommended daily dosage.